Sun Select Japan of sales of used tractors and used agricultural machinery and used construction equipment is used farm equipment sales NO1! 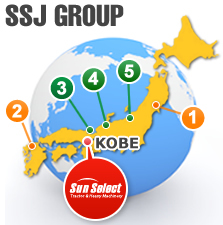 SUN SELECT JAPAN CO., LTD. Copyright (C) 2015 SUN SELECT JAPAN CO., LTD. All Rights Reserved.